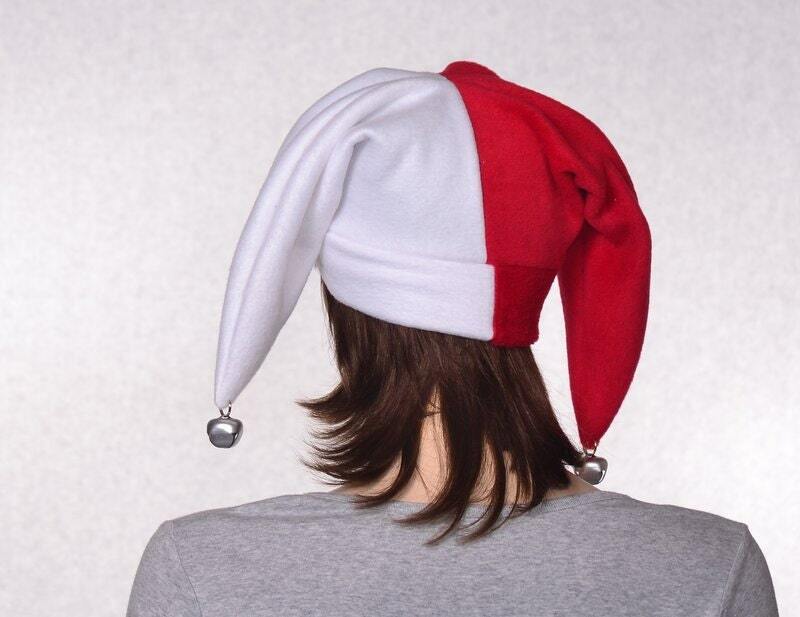 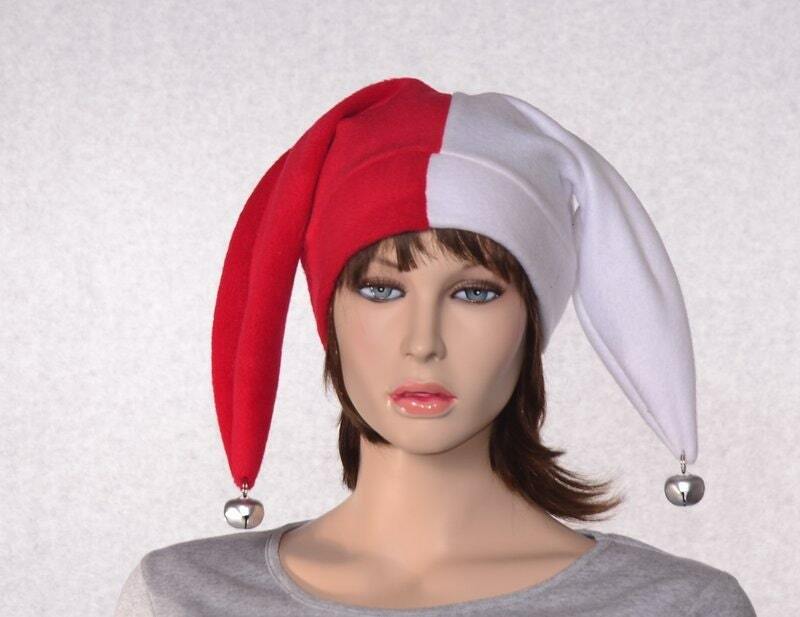 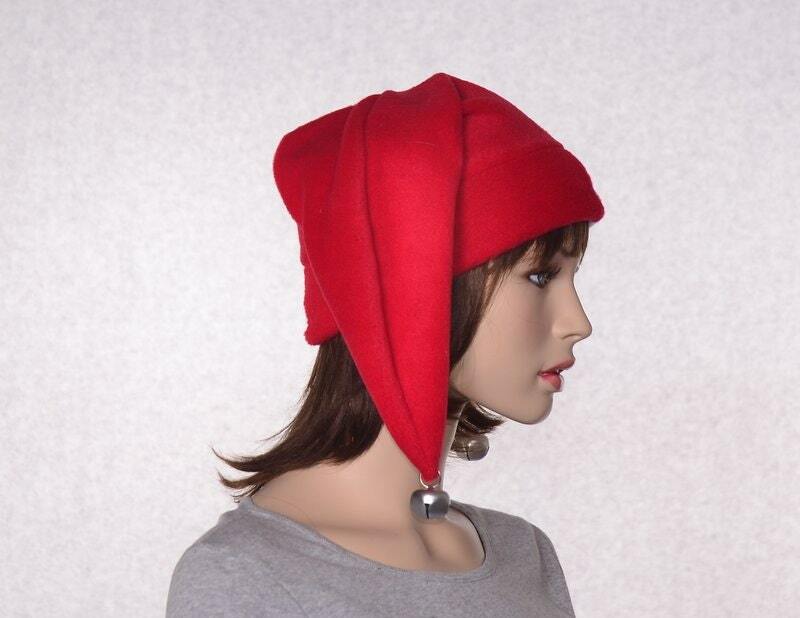 Red and white harlequin style jester hat made of fleece. 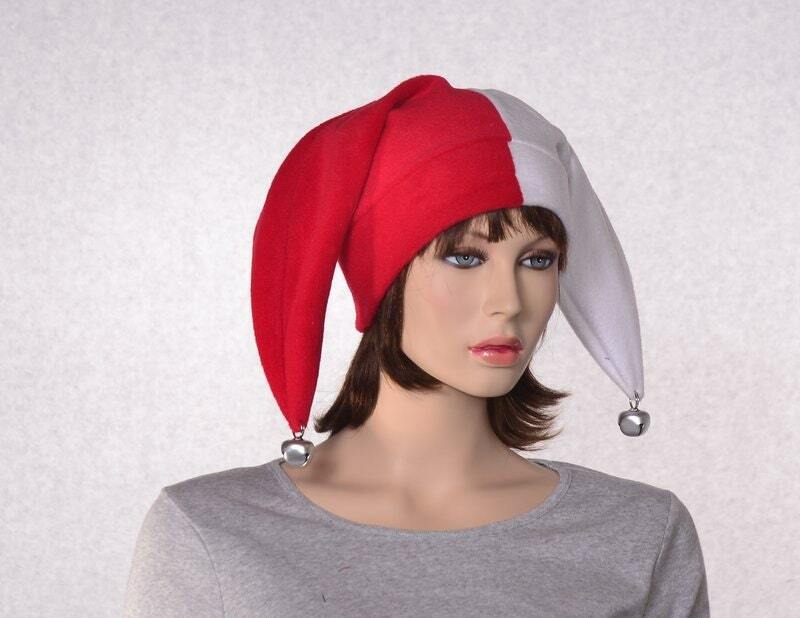 One side has a red body and white headband the other white body and red headband. 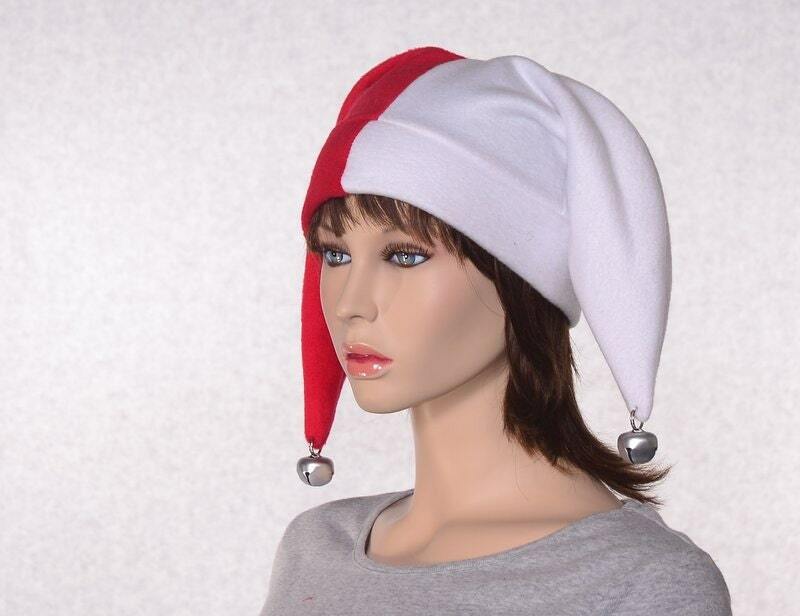 One inch bells finish off the two points.